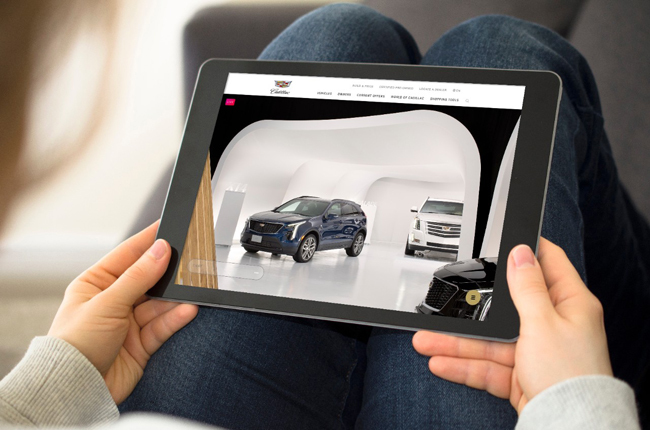 The just launched Cadillac Live will offers buyers the ability to shop Cadillac anywhere and has transformed a 10,000-square foot Toronto film studio into a luxury online showroom. Cadillac Live lets customers have one-on-one conversations with trained Live Agents across any mobile or desktop device. The Cadillac Live tool provides shoppers with answers to their car-buying questions, along with access to dynamic views of the vehicles, all while speaking to a knowledgeable product expert via one-way video. Recent data from Google shows that twice as many car buyers start their research online versus at a physical dealership. Additionally, in the retail sector, 55 per cent of online shoppers will abandon a purchase if they can’t quickly find an answer to a question, and 74 per cent of people are likely to switch brands if they find the purchasing process too difficult. From the cadillac.ca homepage, buyers can choose to begin a new session with a Live Agent, view a pre-recorded session, or book a Live session at a later time or date. The tool also offers virtual tours of the Cadillac Live showroom. 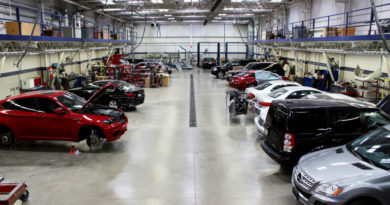 Once the experience is complete, the buyer has the option to connect with a local Cadillac dealership, so they can book a test drive and take the next steps in their path to purchase. The Cadillac Live showroom features 10 vehicles from Cadillac’s 2019 lineup on display. Every Live Agent is equipped with an iPhone X, Osmo Mobile gimbal and Bluetooth headset, providing two-way audio and one-way live video. Associates are also equipped with an app interface that allows them to showcase any colour, wheel, and accessory option that piques a buyer’s interest.